Kids Bop Live – ShoreTV New Jersey – Watch It, Live It, Love It. The KIDZ BOP Kids are hitting the road again in 2018! 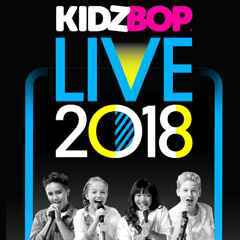 KIDZ BOP, the #1 kids’ music brand, and Live Nation have announced the launch of the all-new North American Tour, “KIDZ BOP Live 2018.” The tour announcement coincides with the release of KIDZ BOP 37, the latest album in the best-selling music series. The tour will stop at Atlantic City’s Boardwalk Hall on Saturday, August 11.